Why choose this project ? Unique Feronia in Hoskote, Bangalore East by Unique Construction Bangalore is a residential project. Organic Garden and Fruits Farm. 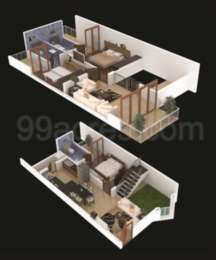 The project offers Villa with perfect combination of contemporary architecture and features to provide comfortable living. Unique Feronia price ranges from 59.00 Lacs to 99.10 Lacs. Unique Feronia offers facilities such as Gymnasium. 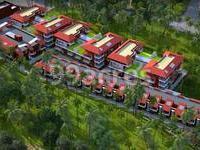 It also has amenities like Basketball court, Jogging track and Swimming pool. It also offers services like Banquet hall and Garbage disposal. This is a RERA registered project with registration number PRM/KA/RERA/1250/304/PR/190107/002280. It is an under construction project with possession offered in Dec, 2021. The construction is of 3 floors. An accommodation of 63 units has been provided. The center of India's tech industry, Bangalore has a positive real estate market. The city is located in southern India on the Deccan Plateau and is the fifth most populous urban agglomeration in India. Presence of IT industries and a number of startups make it a forefront of the IT industry in India. The positivity in the real estate market can be attributed to the establishment of IT industries embarking new job opportunities in the city. This allows a number of professionals to move in the city creating a demand especially in the residential real estate market. Other factors attributing to this real estate scenario are presence of good infrastructure giving ease connectivity, education and healthcare facilities and the weather conditions. What is the project location?The project is located at Hoskote, Bangalore East. What is the construction status of Unique Feronia?The expected date of project handover is Dec 2021.  How many units are there in Unique Feronia?The project offers a total of 63 units. Does Unique Feronia have skating rink? There is no skating rink in the project. Is there a basket ball court in Unique Feronia? The project offers a basket ball court. Is Unique Feronia RERA approved? Yes the project is approved by RERA. Internal walls, external Walls and Ceiling Cement plastered surface with smooth finishes. EXTERIORS :One coat of wall primer with Emulsion. European WC s, Wash Basin of ISI Approved. Individual meter provision for individual Row House. The electrical switches and switch boards would be of Anchor. Insulated wires of Finolex with concealed pipes.